The FBI is investigating a well-known golfer, an activist investor and a professional gambler for potential insider trading in the stock market. But legal experts say it will be difficult for federal prosecutors to prove that Carl Icahn, Phil Mickelson and William "Billy" Walters actually violated securities law. "I don't think the FBI has a clear and coherent legal theory of what has been done wrong that would violate insider trading laws," said John Coffee, professor of securities law at Columbia Law School. The probe, first reported by the Wall Street Journal last week, is focused on suspicious trading in shares of Clorox (CLX) that took place nearly three years ago. There has been no allegation of wrongdoing and the investigation may not find any. 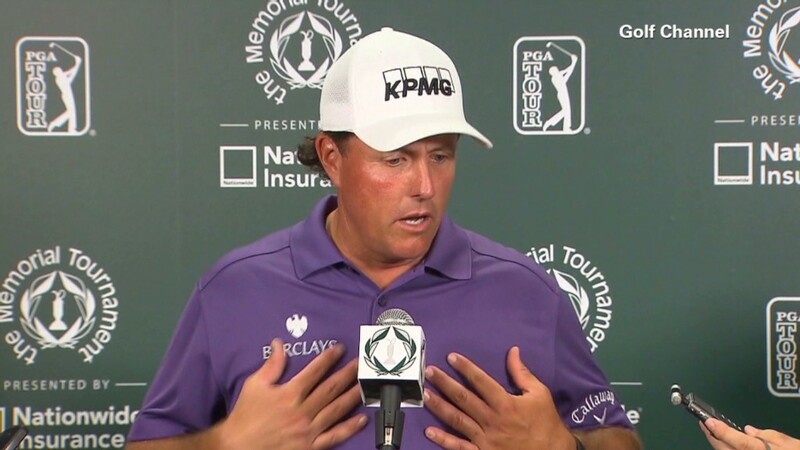 Icahn and Mickelson have said they did nothing wrong. Walters has not responded to requests for comment. The details are thin at this point, but the investigation centers on trades that Mickelson and Walters may have made in shares of Clorox around the time that Icahn announced his interest in buying the company. Icahn sent a letter to the CEO of Clorox in July 2011 offering to take the company private in a deal worth $12.6 billion. The news caused Clorox's stock price to spike. In theory, anyone who knew about the announcement ahead of time could have bought Clorox stock in advance and sold it for a tidy profit in the ensuing rally. But that doesn't necessarily meet the legal definition of insider trading, said Coffee. "It's not enough to show that there was material, non-public information divulged," he said. "You must show that there was a breach of fiduciary duty." Icahn did own a significant stake in Clorox at the time, but he had no legal obligation to act in the interest of Clorox shareholders. The same can be said for Mickelson and Walters. In legal terms, a fiduciary is a person or organization that is required to act in the financial interest of a client and cannot profit off of the relationship without permission. Coffee said prosecutors could make the argument that Icahn breached his fiduciary duty to shareholders in his public hedge fund, Icahn Enterprises (IEP). But even then, the government would need to prove that Icahn's motivations were not in the interest of investors in his fund. In this case, shareholders in Icahn's fund would have benefited since his letter caused Clorox stock to rise. The fact that Icahn sent a letter to Clorox, rather than launching an official "tender offer," is also significant. The rules governing insider trading in a tender offer are more stringent, said Coffee. As for Mickelson, the government would need to prove that the famous golfer knew he was receiving information from an inside source, said Elliott Lutzker, a former SEC attorney, who is now a partner at Manhattan-based Davidoff, Malito & Hutcher LLP. By all accounts, Mickelson and Icahn have never met. Mickelson and Billy Walters, a former golfer, are known to be friendly. Still, even if Walters gave Mickelson a stock tip, that does not prove that Mickelson knew he was using "material, non-public information," said Lutzker. Lutzker said the investigation will continue and could turn up other individuals, "but it's a very tenuous case right now." The probe comes amid a long-running federal crackdown on insider trading. The U.S. Attorney for the Southern District of New York, Preet Bharara, has secured dozens of insider-trading convictions since he took office in 2009. Last year, SAC Capital, the massive hedge fund run by Steve Cohen, agreed to plead guilty to criminal insider-trading charges and pay a record $1.8 billion fine. Raj Rajaratnam was another big victory for the government. In 2011, the hedge fund manager was sentenced to 11 years in federal prison -- a record for insider trading -- and fined $10 million. He also had to hand over forfeited assets. At least one other celebrity has been caught up in the dragnet. Mark Cuban, the owner of the Dallas Mavericks and star of reality TV show Shark Tank, is being sued by the SEC for suspicious trading in a software company back in 2004.